Botswana Spectacular – The Great Canadian Travel Co. 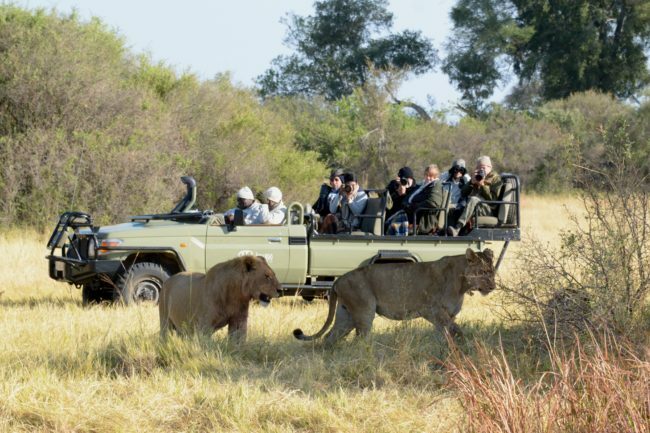 This small group, escorted tour looks in-depth at the fantastic safari camps in Botswana. 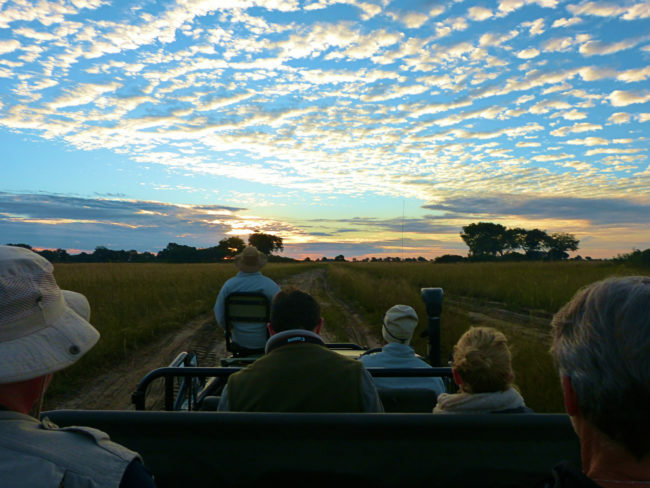 Our longtime, expert safari partner has created this customized tour to maximize wildlife experiences during the “green season” in southern Africa. Inquire with our African Expert to find out the next available tour. Prices are shown as starting from rates in US$ and CA$, per person based on two people sharing a twin room. Single rates are available on request. Final pricing will depend on the availability of components and exchange rates in place at the time of your reservation. Upon arrival you will be met at the airport and transferred to The Peech Hotel in central Johannesburg for a two-night stay. menu offers fresh, light, seasonal produce throughout the day, with ingredients sourced from leading local suppliers, or from our own organic vegetable garden wherever possible. The Peech is located near the main shopping and business hubs of Rosebank (3 mins) and Sandton (8 mins), and we are surrounded by local boutiques, cafés, salons, an art gallery and an adjacent park for walking or running. Guests also have direct access to neighbouring Planet Fitness gym facility and indoor pool. The Peech is a champion of responsible tourism by blending awareness for the environment and the community, and we are Fair Trade Tourism certified. Described as “Contemporary, edgy and Afrocentric” by Condé Nast Traveller, and awarded ‘Best City Boutique Hotel’ in Africa at the 2014 World Boutique Hotel Awards. You are collected from the hotel and transferred to Johannesburg’s airport for your flight to Maun. On arrival in Maun you’ll transfer to the light aircraft, circuit flight that will take you to Kalahari Plains. Kalahari Plains sits on the edge of an immense pan. Large herds of gemsbok (oryx) and springbok arrive in the wake of the summer rains, and attract the attention of cheetah and black-maned Kalahari lions. The annual transformations belie a sense of timelessness, and authentic San Bushman cultural experiences give insights into an ancient yet sustainable way of life. Eight cool canvas guest units (including a family unit) each feature a rooftop sleep-out platform, with unequalled views of the night sky. A refreshing pool and unique architecture make the desert temperatures much more comfortable. Adventurous travellers seeking a truly remote African safari will be thrilled to discover it in central Botswana. The Central Kalahari Game Reserve is the second largest game reserve in the world and one of the least visited, nothing can prepare you for the sheer wonder of exploring this vast reserve with its wild, untouched beauty. The landscape is dominated by sand veld, acacias, and Kalahari apple-leaf, interspersed with grasslands and dotted with occasional sand dunes, pans and fossil river valleys. While the reserve is home to an impressive variety of wildlife, there is one animal that is rather obviously absent, the human being. It is this lack of human traffic, combined with the park’s lack of infrastructure, which makes for a challenging and marvellously authentic African experience. Visitors need to be entirely self-sufficient but those willing to make the effort will be richly rewarded. A light aircraft, circuit flight whisks you from the Kalahari Plains back to Maun airport and on to Tubu Tree Camp, located on the westerns side of remote Hunda Island in the lush, oasis of the Okavango Delta. Tubu Tree has easy access to a diverse range of habitats. Day and night game drives explore productive mopane and acacia woodlands, with Tubu Tree being well known for its leopard sightings. Wildlife movements vary with seasonal water levels, meaning that no two Tubu experiences are ever the same – but all are equally wonderful. Eight guest tents (including one designed for families) offer breath-taking floodplain views from their elevated positions. In addition to the drama and excitement of game drives, seasonally-available water activities facilitate a different pace and perspective. Enjoy a drink at Tubu’s famous open-air bar under the shade of a marula tree. Another short flight transfers you to Savuti Camp in the Linyanti Concessions. Savuti Camp is set deep in the wilderness on the productive Savute Channel – a refuge for a variety of wildlife. For many years the channel was dry, before the waters returned in 2008 and abundant game congregated around and adapted to their new surroundings. 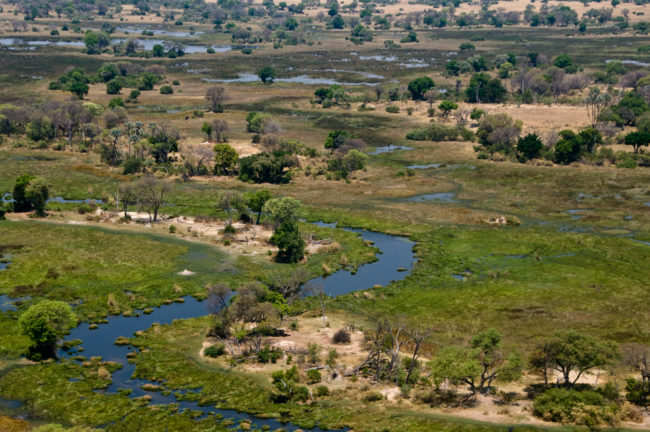 As part of a natural cycle, the channel is dry once more, resulting in a rich feeding ground and corridor between the surrounding mopane woodlands for both plains game and predators. Savuti is about 17 kilometres “downstream” from the Zibadianja Lagoon – the source of the Channel. and Orion – approximately 20 minutes from camp, are a magical, unique way for guests to experience the African bush. exclusive and remote big game habitat. The activities on offer include day and night game drives, guided walks (on request) and seasonal boating, depending on water levels. Nearby platforms and hides also present excellent wildlife opportunities. Time to say good-bye to Savuti Camp and catch your flight via scheduled, light aircraft to Kasane Airport. From here you fly on to Victoria Falls. A transfer is included on to your very comfortable accommodation at Ilala Lodge. The warmest of welcomes awaits you at Ilala Lodge Hotel, with a gracefully distinguished ambiance and attentive yet discrete service that always comes with a smile. The sublime surroundings of this boutique hotel will reawaken your senses while the power of the majestic Victoria Falls renews your spirit. Relax in luxurious style. Listen to the meditative rhythm of the great Zambezi as you drift off to sleep. As morning comes, gently awake and lift your head to see the spray of the majestic Victoria Falls across the unspoiled horizon – and let your soul sigh. Feel at ease in elegant and spacious rooms with African Teak furniture, soft, crisp linen – all en-suite facilities, bathroom with separate shower, air conditioning, overhead fan, satellite TV, hair dryer, tea & coffee making facilities, free WiFi and a safe. The view from your room looks across the lawns to the National Parks where elephant, warthog, impala or the occasional buffalo might be passing by or simply grazing on the lawn or in the tree line. Experience new tastes, indulge in unusual flavours and enjoy delectable dishes at the award winning restaurant “The Palm”; dine in view of the spray of the majestic Victoria Falls! Ilala Lodge also has a spa, where you can spoil yourself after your days on safari! A variety of local activities are available such as river walks, cruises down the Zambezi River, helicopter tours over the falls and for the adventurers zip-lining or bungee-jumping. Or simply choose to sit with a nice, cool drink and take in the spectacular views. Today it’s time to bid farewell to Victoria Falls and transfer to the airport for your flight to Cape Town. We’ll be driven to the centrally located, historic property, The Victoria and Alfred Hotel. passes, past the Capes longest beach near Noordhoek and the coastal hamlets of Kommetjie and Scarborough with a chance of seeing Southern right whales offshore from June – November! After lunch at a popular coastal restaurant, we enter the Cape of Good Hope section of the Table Mountain National Park with its unique Cape fynbos vegetation and home to birds like African black oystercatchers and Cape sugarbirds as well as to very special fauna including Cape mountain zebra, bontebok (both endemic) and the charismatic Cape baboon. Beach for a close-up encounter with a colony of African penguins, before heading home through the naval village of Simonstown and over Boyes Drive, taking in views of the fishing harbour at Kalk Bay and the seaside hamlets of St. James and Muizenberg. provides another glimpse of classic 17th century Cape style, with a chance to browse quaint Dorp Street and the many museums, galleries and shops of this lovely university town. 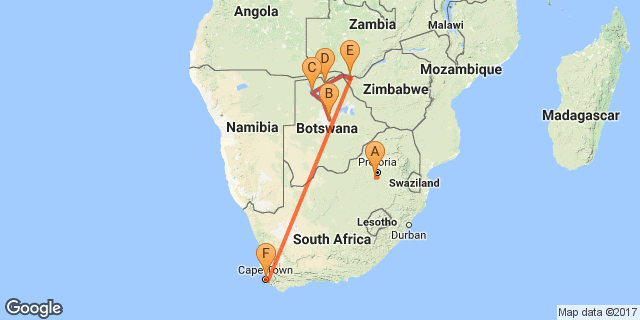 Today, our tour ends with a transfer from the hotel to the Cape Town airport. Should you wish to extend your time in Cape Town you may do so. Please ask us to extend your hotel stay as needed. Great Canadian Travel has partnered with this premier safari tour company since 1983 to create exciting travel experiences in Botswana. We concentrate on offering departures in the African “green season”. The green season includes the months of February and March, which is winter in Canada. However, it is summer in southern Africa! 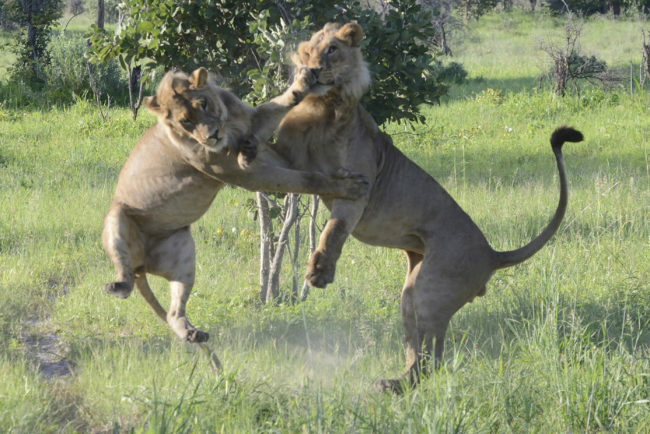 The green season offers spectacular savings in Botswana, often referred to as the best safari destination in Africa. 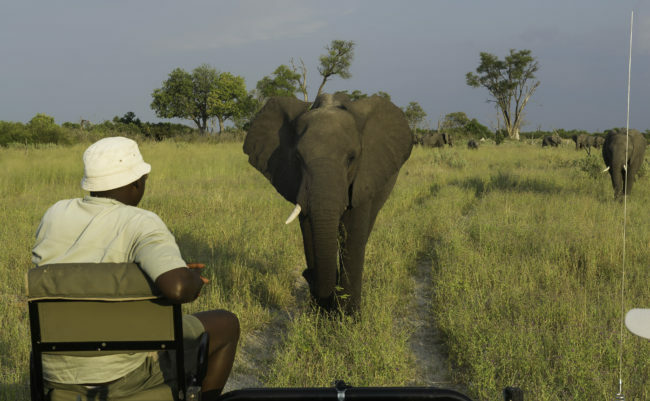 By camps in different ecosystems in Botswana, the safaris provide a real diversity and wilderness experience that one can enjoy in privacy and high comfort. 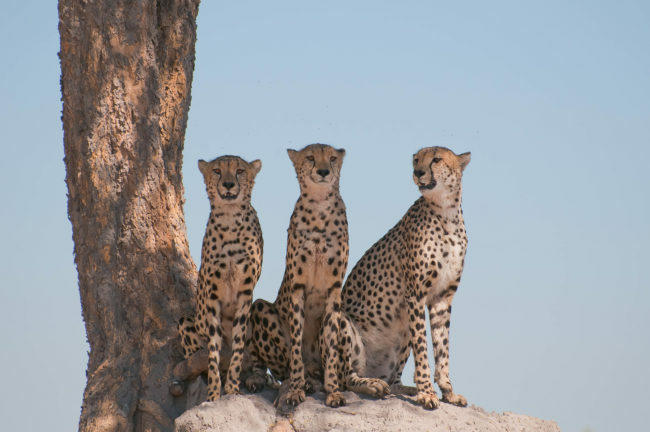 The itinerary includes the Central Kalahari Game Reserve, Okavango Delta and the Linyanti Concessions, a natural oasis in Botswana with an air of untouched beauty teeming with wildlife. These fly in safaris are unsurpassed value as we use luxury camps on private concessions, open vehicles and off-roading, which provide excellent photographic opportunities. The tour provides the opportunity to extend your stay for a few days in either Johannesburg before the tour begins or in Cape Town at the end of the tour. Circuit Flights: The light aircraft, circuit flights are subject to weight restrictions based on the aircraft used, weather conditions and season, passenger and luggage weights, routing and fuel required. Some routes may require en-route stops which may involve changing aircraft. Total baggage allowance on these inter-camp flights is 20kg total per person (includes checked bag as well as all carry-on items).